Let the fun & exciting feeling of a new outfit ripple through to your golf game mindset with the help of Catmandoo's sleeveless dress with ripple print detail in Black. Designed in black with a mini mandarin style collar which leads to a gentle v-neck opening with the black, white & light grey ripple print trim. The same trim has also been used for the armhole binding. 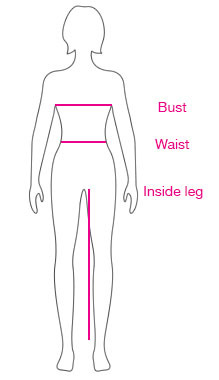 Two pockets feature at the front, hidden amongst the side seam on the body. Created with a soft silk-like fabric with added Catmandoo CMD TECH DRY technology which is great for drawing moisture away from your skin and to the surface of the fabric to evaporate away and is excellent at drying fast, so you'll ultimately feel drier for longer; which means you can spend longer on the course in complete comfort! Win win! The Catmandoo logo can be found rubberised in black on the left hand-side, upper chest area.